I’m always looking for ways to save money on meals, so leftovers are a no-brainer at our house. Of course, eating the same meal day after day can get awfully boring. That’s why I’m glad I have a standby list of meal ideas for leftover chicken. When I pull a recipe from my idea file, I’m guaranteed a fresh new meal even if I’m using leftover meat to pull it together. Chicken Caesar wraps are a fresh, flavorful meal that’s just right for warm nights. Start with a salad-like base. Toss diced chicken and cooked bacon with a few handfuls of torn romaine lettuce, a sprinkle of croutons and a dash of Parmesan cheese. Coat this salad mix with bottled Caesar dressing. Spoon the mixture into flour tortillas and roll them up for an easy handheld meal. Round out this summer dinner with a fresh fruit salad. Having leftover bacon on hand in addition to leftover chicken makes this recipe super quick and easy. If there’s no bacon at the ready, prepackaged real bacon bits will also do the trick. Crushed buttery crackers drenched in real melted butter is the classic base for a home-style casserole that would make your grandma proud. Ritzy Chicken also involves a few other casserole staples: cream of chicken soup and sour cream. Mixed with chopped chicken, this meal is the epitome of comfort food. A green salad on the side adds color to the meal. However, if you’d prefer a one-dish meal, chopped broccoli or green peas can easily be incorporated into the casserole. Mix barbecue sauce and leftover chicken in a saucepan to make filling for barbecue chicken sandwiches. Scoop the mixture onto buns, and your dinner is ready in less time than a trip through the drive-thru takes. You can make your own sauce with ketchup and spices, but bottled barbecue sauce is even easier. It’s definitely the way to go on a busy evening. 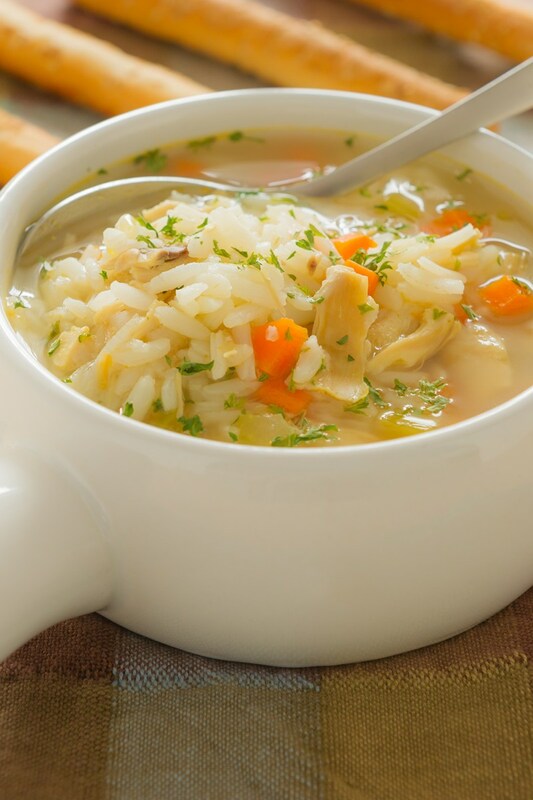 When you or your family members are feeling under the weather, there’s nothing like a pot of comforting chicken and rice soup to help you feel better. Fill a large pot with a few handfuls of savory vegetables, a couple of quarts of chicken broth, and a handful or two of leftover chicken. As the ingredients simmer together, they’ll become rich and flavorful. To make this an easy, one-pot meal, the rice can cook right in the soup. Chicken and rice is always a classic, but if you’re ready for variety, remember that it only takes a few ingredient tweaks to come up with a whole new soup. Make a chicken and broccoli variety, or try your hand at a chicken and potato chowder recipe. 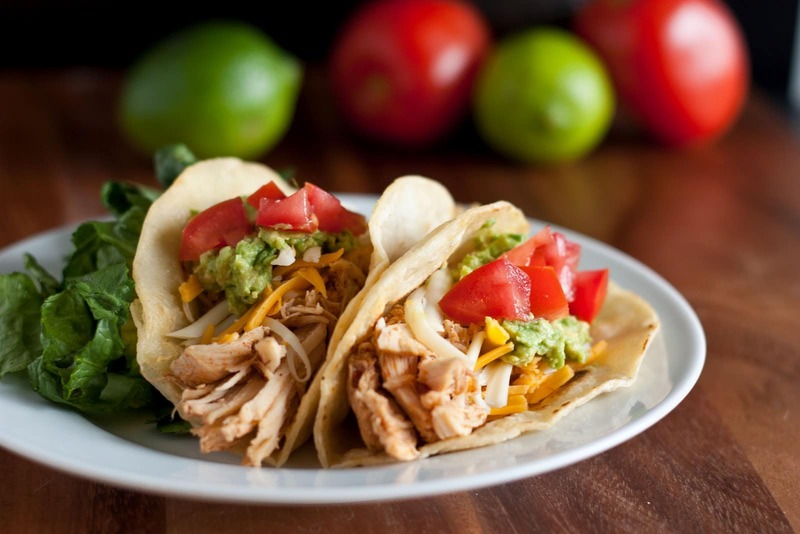 Your days at the local Mexican restaurant may be numbered once you discover how easy it is to make tacos at home with leftover chicken. Saute garlic and onions in a skillet, and toss in the diced chicken. Add in a can of tomato sauce. Then, season the mixture to taste with paprika, chili powder, cumin, and salt. After simmering a bit to blend the flavors, scoop the meat and sauce into a flour or corn tortilla. Top it with lettuce, tomatoes, cheese or sour cream. A big salad is a tasty way to get your greens for the day. Top lettuce with an assortment of colorful vegetables, such as tomatoes, cucumbers, carrots and green peppers. 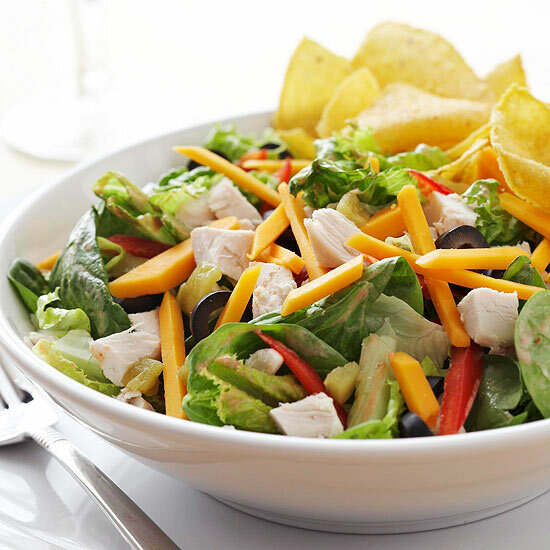 Top the salad with leftover chicken to turn it into a chef’s salad. For additional protein, you could also toss in bacon bits, hardboiled egg, chickpeas or shredded cheese. Finish off the meal with your dressing of choice. Chicken and pasta are a delicious combination, but noodles are loaded with carbs. If you’re living a low-carb lifestyle, try zoodles made with zucchini instead. Just be sure to salt the zucchini before cooking it to remove moisture. Turn the zoodles into a complete dish with leftover chicken. This important addition lends protein and staying power to the meal. Stir in some basil pesto to pull the zucchini and meat together and give the dish a powerful punch of flavor. Yum! Leftover chicken has so many delicious uses! Which of these meals most appeals to you? Try one of these chicken recipes tonight, and leave your review in the comments. Once your belly is full, share this article with your friends.